The origins of the word lapidary is believed to have come from the Latin word "lapis" meaning stone & "lapidarius" meaning stonecutter. Although modern lapidary has evoled with technology and machines are used for cutting and polishing of stone, the meaning of the word remains with its ancient orgins. In simple terms lapidary is the art of cutting and polishing stone. At the Mt Gravatt Lapidary Society we specialise in teaching Lapidary and the allied crafts. The Society has facilities to teach cabochon cutting, freeform cutting, faceting and carving. we also we specialise in teaching members the skills on many modilaties within the scope of Lapidary. Allied Crafts is the term used for skills and techniques that work alongside lapidary, the perfect example of an allied craft is metalsmithing. 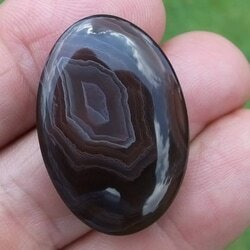 Cabochon cutting is the art of cutting & polishing rock to create a highly polished stone. Cabochon Cutting incorporates, Cabochons; domed stone with a flat back and Freeforms; a free shape that does conform to the rules of a Cabochon. 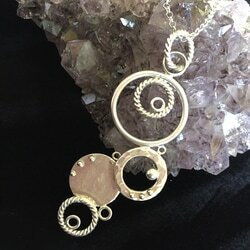 Basic to advanced metalsmithing & jewellery making techniques are taught to allow members to create their own finished pieces. the main metal used at the club is Silver however many members also work in mixed metals. 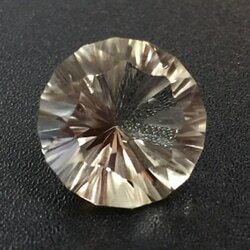 Faceting is the skill of cutting & polishing many facets into a pieces of high quality rough. Designs are pre-determined and created to ensure the best reflection of light through the stone to give the finished work high brilliance better knowna as "sparkle"